The Cyrkle was a short-lived American rock and roll band active in the mid-1960s. The group charted two Top 40 hits, "Red Rubber Ball," and "Turn Down Day". They still receive significant airplay on oldies radio stations across the United States. The band was formed by guitarists and lead singers Don Dannemann and Tom Dawes (bass guitar), who met while studying at Lafayette College in Easton, Pennsylvania. The other members were Earl Pickens on keyboards and Marty Fried on drums. They were originally a "frat rock" band called The Rhondells but were later discovered and managed by Brian Epstein, who was better known as manager of The Beatles. Epstein's business partner was New York attorney Nathan Weiss, who heard the band in Atlantic City, New Jersey, on Labor Day in 1965. He became their manager and renamed them. John Lennon provided the unique spelling of their new name, which is a reference to the circular roundabout located in downtown Easton. They were produced by John Simon. In the summer of 1966, they opened on fourteen dates for the Beatles during their U.S. tour. On August 28, they headed the opening acts performing prior to The Beatles at Dodger Stadium. The other artists who appeared were Bobby Hebb, The Ronettes, and The Remains. Before touring with The Beatles, The Cyrkle had a successful engagement at the Downtown Discotheque in New York City. They were also on the bill for the final Beatles concert at Candlestick Park on August 29. 1966. The Cyrkle is best known for their 1966 song "Red Rubber Ball," which went to #2 on the Billboard Hot 100 chart. It sold over one million copies, and was awarded a gold disc. It was co-written by Paul Simon of Simon and Garfunkel and Bruce Woodley of The Seekers. It was released on the Columbia record label. The band had one more Top 20 hit, "Turn-Down Day," later in 1966. After the release of their debut album, Red Rubber Ball, they recorded a second album, Neon, in late 1966, and a movie soundtrack, The Minx, in 1967. They followed that with various singles and then disbanded in late 1967. Both Dawes and Danneman became professional jingle writers after The Cyrkle disbanded. Dawes later wrote the famous "plop plop fizz fizz" jingle for Alka-Seltzer. Danneman wrote jingles for Continental Airlines and Swanson Foods. He penned the original 7Up Uncola song. In 1977, Dawes produced Foghat. 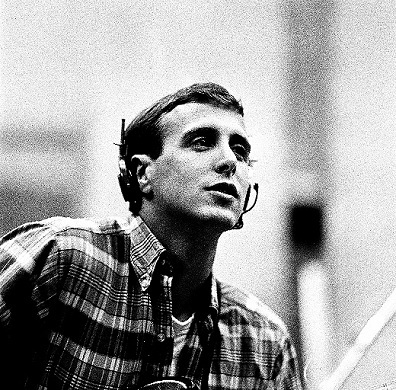 Below is a set of photos depicting The Cyrkle recording the song "Red Rubber Ball" at Columbia Studios, NYC - circa 1966 - Photos courtesy of George Schowerer. Do you have content or pictures, to add, of The Cyrkle? Do you just want to say "Hello!"? Please feel free to Share it, here! What other Visitors have said about The Cyrkle!